They came to me in the last week of May, 12 years ago. 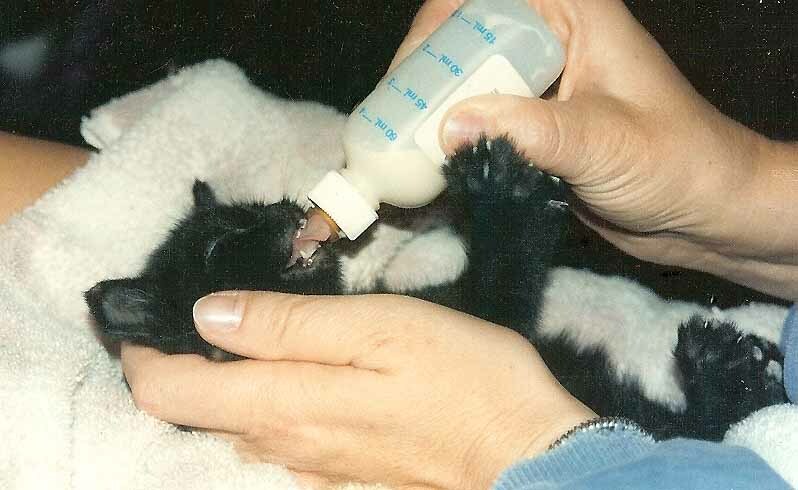 The veterinarian said they were about 3 – 4 weeks old, so May 1st became their official birthday. 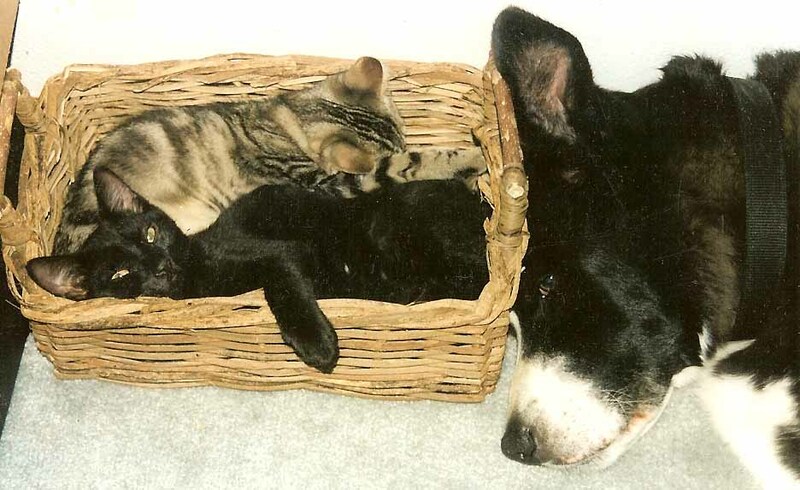 It began when my dog, Jake, found a little striped kitten in the backyard. Her infected eyes were glued shut, so she couldn’t see the big dog drooling over her. He could have made her an afternoon snack. In fact, his past history had indicated that was exactly what he normally would have done. But something happened when he looked at Pippen. They immediately formed a bond that would last a lifetime. Jake brought Pip into our house, along with her brother, Dickens, and sisters Molly and Star. To say they changed the life of this dog lover is an understatement. I was more than charmed by them – I was enchanted! 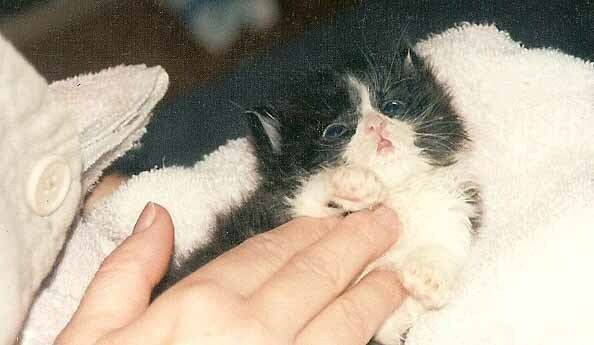 And now 12 years have gone by, and these little furballs are considered senior citizens. They still seem like kittens to me! They are healthy – perhaps because they have always been inside cats. We did build them a huge outdoor enclosure, and maybe having the ability to go SAFELY outside, and spend time in nature, has helped to keep them young. I know each of their little feline hearts and souls. I know that if it weren’t for gravity they would all simply float away! I’ve watched them evolve over the years, yet their true natures have not changed from when they were little. 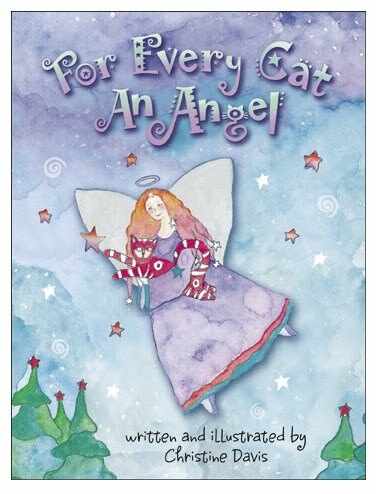 One of my favorite illustrations in my book For Every Cat An Angel shows a woman holding a sleeping cat on her lap. They are sharing the same dream – she is flying through the stars on the back of her furry friend, who has transformed into a leopard! And they agree to keep their true natures a secret between them. I am in awe of these cat creatures. They have cast a spell over me that I don’t expect will ever be broken. Happy birthday my sweet kitties! 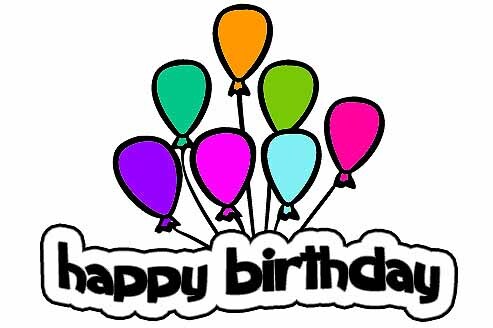 A very Happy Birthday to all you kitties. We know just how your Mom feels about kitties. Our Mom is just as attached to us and our dogs love us too. We snuggle up with the dogs and have some great naps. We showed Mom your comment and she gave us a big smile. Usually she says that animal lovers are the best people, but you already know that!